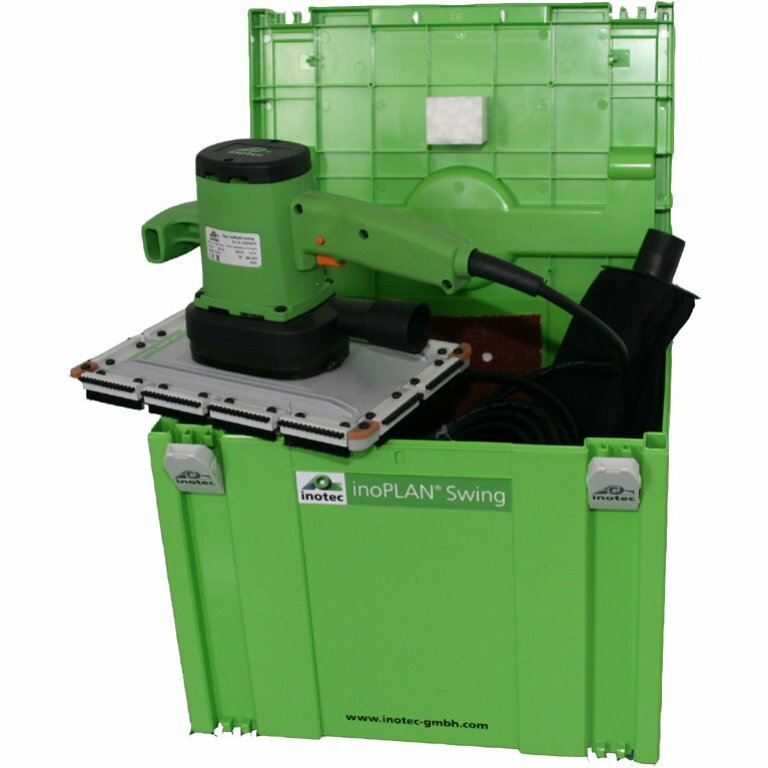 The inoPLAN Swing special grinder is ready for immediate use on the construction site. All you have to do is plug it in. The extra-large grinding plate made from highly resistant and lightweight magnesium guarantees an even grinding pattern and a high removal rate. A specially developed, integrated and powerful extractor ensures that the removed material is cleanly transported in a collection bag, which can be emptied with a ripcord.